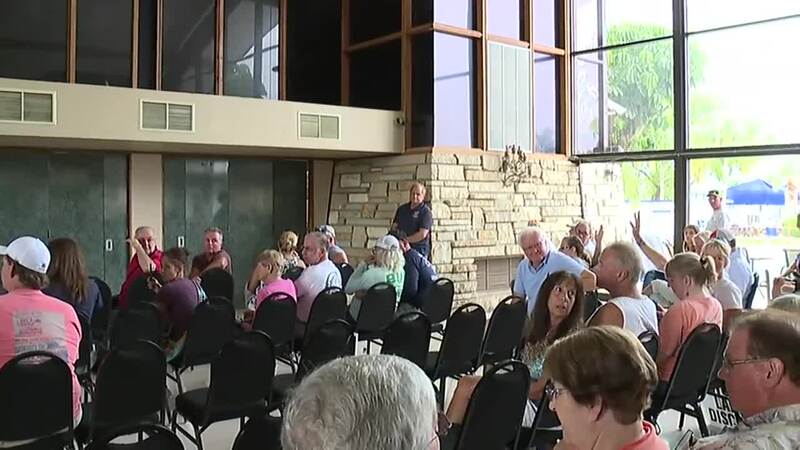 CAPE CORAL, Fla. -- A full house packed the Cape Coral Yacht Club Tuesday as representatives from the U.S. Army Corps of Engineers met with City of Cape Coral officials and the public to discuss the water releases coming from Lake Okeechobee. The fire department was forced to close the doors to the yacht club due to an overwhelming response from the public wanting to attend. Emotions were running high inside the meeting. “You know what’s in the water. You know what it’s going to do,” said one resident. 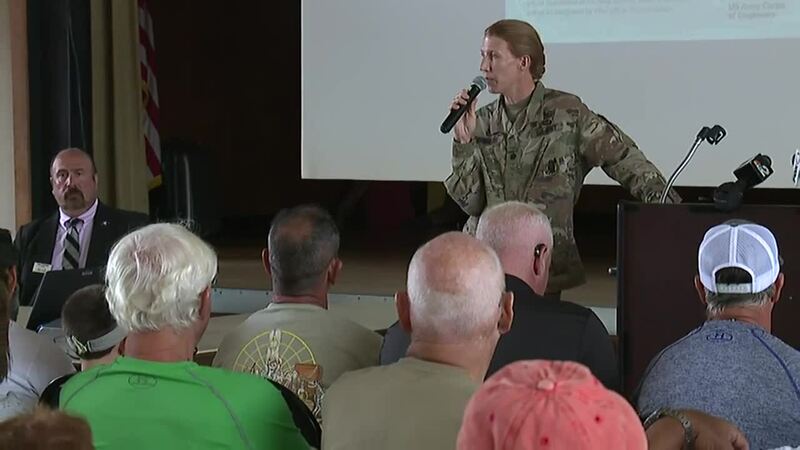 As the Army Corps of Engineers answered questions about Lake Okeechobee water releases, some people blame that water for an algae explosion in Cape Coral. “I want to send it south, but I don’t have the infrastructure to send anymore south than I currently send,” said Lt. Cpl. Jennifer Reynolds of the U.S. Army Corps of Engineers. 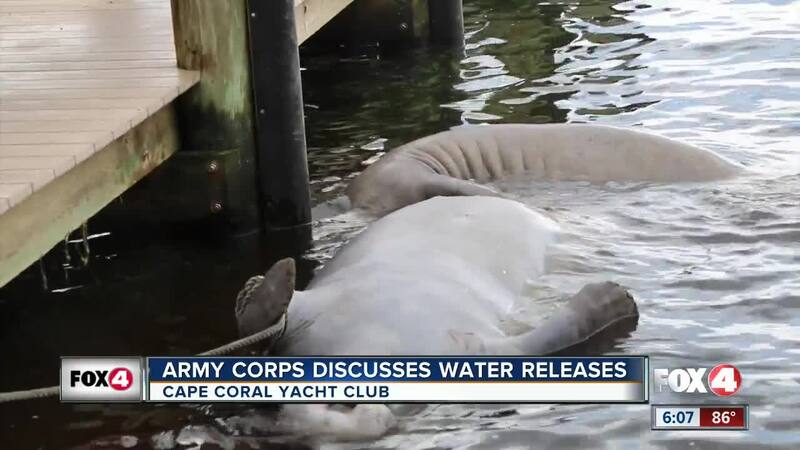 Meanwhile, just outside the yacht club as the meeting was taking place, a dead manatee was seen being removed from the Caloosahatchee River. In the meantime though, they’re still working on projects like the Everglades Agricultural Area reservoir. But for some residents, those projects aren’t enough to help what’s happening right now. “An immediate solution is really difficult because the projects that we’re talking about will still take a few years before they start coming online,” said Reynolds.